Jay Z has made history by becoming the very first rapper ever chosen to be inducted into the Songwriters Hall of Fame. By breaking this record, Jay Z has given other rappers hope of someday becoming inductees. 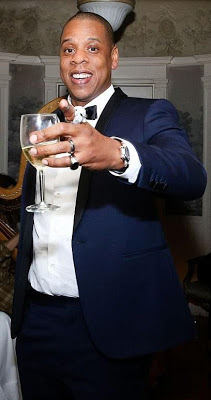 The Songwriters Hall announced on Wednesday Feb. 22nd that Jay Z will be inducted into the Hall at the organization's 48th Annual Induction and Awards Dinner will take place on June 15 in New York. Other songwriters who will be inducted include; Kenneth 'Babyface' Edmonds, Max Martin, songwriting-production duo Jimmy Jam & Terry Lewis, Gordy, and members of the band Chicago Robert Lamm, James Pankow and Peter Cetera. Joining the Hall of Fame is a great honour, one given only to artists who are considered to have "enriched the world's culture", with people like Michael Jackson, Dolly Parton, Bob Dylan and Marvin Gaye previously making it into the Hall. Only five songwriters, or songwriting groups, are inducted each year, so it is understandable that Jay Z is excited about this honour. The entertainment mogul took to his Twitter account to share the good news. He wrote: "By the way, this is a win for US. I remember when rap was said to be a fad . We are now alongside some of the greatest writers in history."